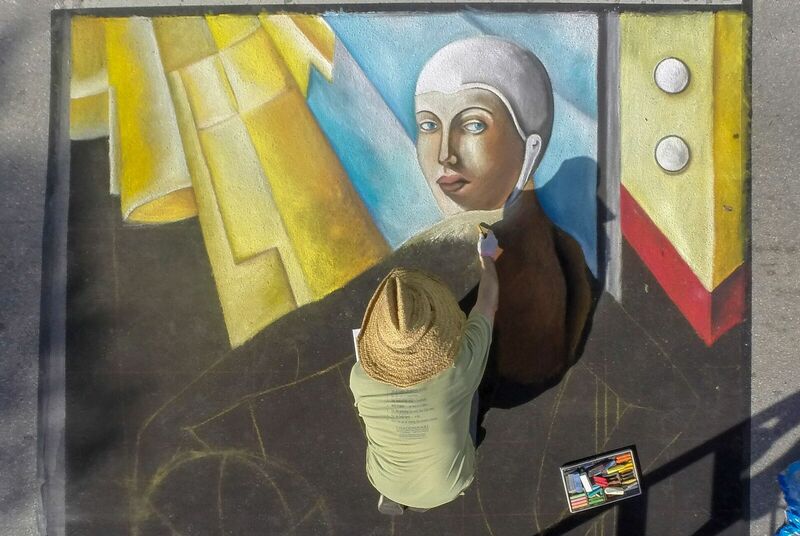 Join tens of thousands of art lovers at the 25th Annual Lake Worth Street Painting Festival on the last weekend of February. With more than 600 artists on the pavement, music on the main stage, restaurants, shops, festival food court and bistro, you’re sure to get caught up with the excitement of this inspiring and family-friendly event. Since 1995 the Lake Worth Street Painting Festival has grown into one of South Florida’s most highly anticipated cultural events. It’s modeled after the I Madonnari Italian Street Painting Festival in Santa Barbara, California, and celebrates an art form that’s attracted onlookers since the 16th century, when crowds would gather to watch itinerant artists create masterworks on cobblestones. Special children’s activities are part of the creative fun. Pets are not encouraged to attend, however–the pavement gets hot! Pack your sunscreen and walking shoes for this amazing weekend event. Free. Find an FAQ list with helpful parking and local shuttle information at streetpaintingfestivalinc.org.